Happy Australia Day (is that how you say it?). I hope you set the example today by eating and drinking your fill. I mean NOT eating and drinking too much. Here’s a workout I did with my group last week. 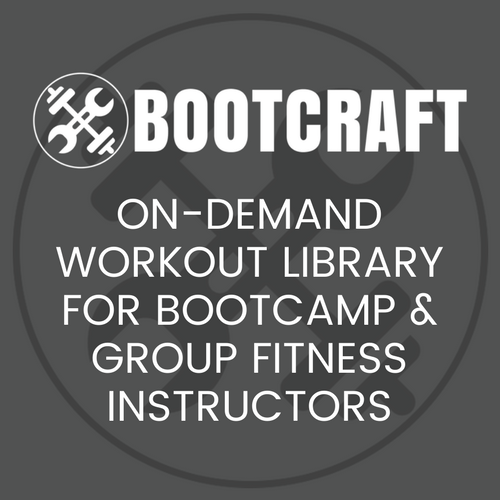 It has plenty of high intensity and dynamic exercises that I’m sure your clients will love. Stay tuned for tomorrow’s surprise! Spend 10-15 minutes on a warm up of your choice. I have access to a path that forms an ‘S’ shape on a hill near us. It is affectionatly refered to as the Snake. It takes clients 1.5 to 2.5 minutes to down and up the Snake. Try to use a run or exercise that takes roughly the same time in your workout. Split the class into two groups. Have one group run the Snake while the other group stays and performs 45-60 seconds of the following exercises. Have groups swap once back from the run. Repeat 3 times. Pair your clients up with someone of a similar strength level. Spread the medicine balls by weight appropriately amongst the pairs (heaviest with the strongest pairs, lightest with the weaker pairs). Pairs will take it in turns being the exerciser and spotter. Use the ladder method for repetitions. Client A performs 10 reps while client B rests, then client B performs 10 reps while client A rests. Client A performs 8 reps while client B rests and so on decreasing the reps by 2 until both clients do a round of 2 reps. The exercise clients are going to do are called Donkey Kong’s or Ninja Getups. The Spotter starts with the ball while both clients stand facing each other 2-3 metres apart. The Spotter passes the ball to the Exerciser who catches and immediately squats down and rolls backwards. The Exerciser continues to roll back up onto their shoulder blades, keeping knees tucked and placing the ball above their head. Using momentum the Exerciser then rolls back, bringing the medicine ball over the knees and standing up. At the top the Exerciser passes the ball back to the Spotter and the exercise repeats. See the video below for more info care of FP. Have clients pair up once again. One partner does 20 squats with a medicine then runs around a cone 20m away while holding the medicine ball above their head. When they return pairs swap over. Repeat the same drill with 15 squats and then 10 squats. Did this workout leave your clients practicing the corpse pose with great enthusiasm? Sign up for new workouts to be sent to your email address.